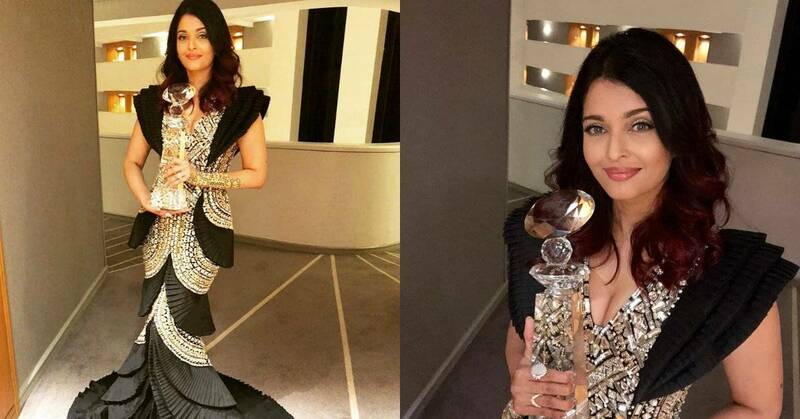 Aishwarya Rai Bachchan Shines In Her Shimmering Black And Gold Outfit At The WIFT Awards! Aishwarya Rai Bachchan in her glorious span of a carrer has delivered critically acclaimed films like, ‘Devdas’, ‘Taal’, ‘Umrao Jaan’, ‘Hum Dil De Chuke Sanam’ and many more. 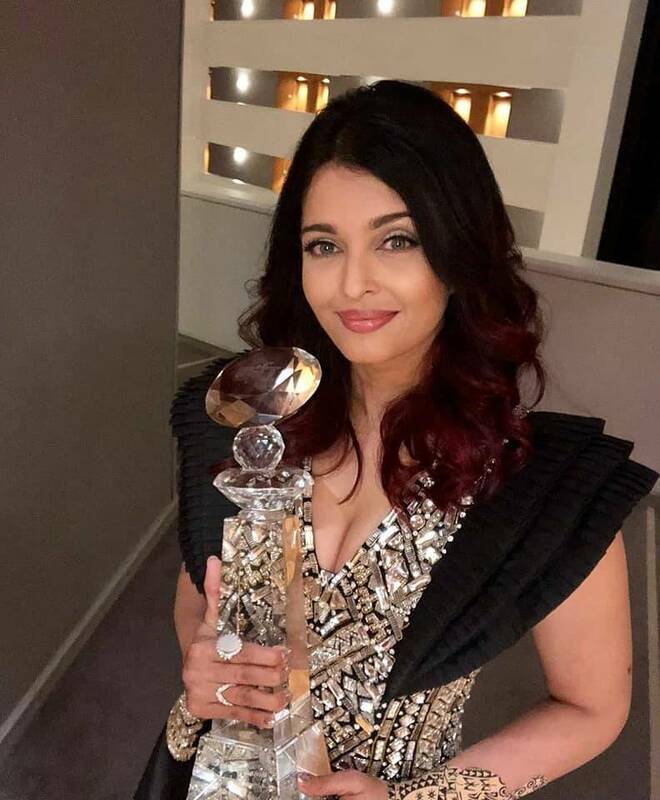 So it was inevitably an achieving moment for the beautiful actress when she was the inaugural recipient of the Meryl Streep Award for Excellence at the first Women in Film and Television (WIFT) India Awards. The event took place in Washington DC and the actress was accompanied by her mother Brinda Rai as well as her daughter Aaradhya. The actress had opted for a Abu Jani and Sandeep Khosla creation which was a shimmering black gown with folded gold embroidery in it. The actress looked every bit of stunning in the dazzling outfit. Her daughter, the adorable Aaradhya Bachchan looked endearing in a pink and red frilly gown. The actress was seen connecting with Janhvi Kapoor who too looked dainty and ethereal in a Reema Acra pink gown and received the WIFT Emerald Award for her debut performance in Dhadak. Aishwarya Rai Bachchan will soon collaborate with her husband Abhishekh Bachchan in the Anurag Kashyap directorial Gulab Jamun.